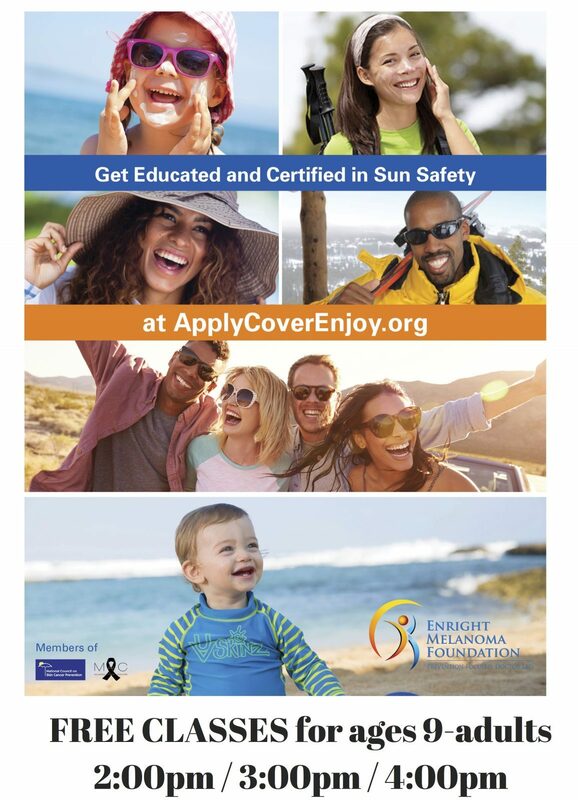 Get Educated and Certified in Sun Safety. This year you will have the opportunity to get educated in our ‘sun safety classroom’. Come join the fun at 2:00pm, 3:00pm or 4:00pm – for a 20-minute session – ages 9 through adults. Receive a Certificate of Completion. Or click here and take the online program at home. Bring your Certificate of Completion (or take a photo on your cell phone) and take it to the Enright Melanoma Foundation booth at Oysterfest between 1:00pm-5:00pm to get a special prize.